Every click, swipe, tap and keystroke the customer makes gathers information around him and his devices. SMAC technologies are the infrastructure of the new code halo economy. In this digital era where market spaces are becoming highly fragmented and the needs of the customers are ever changing companies need to find a way to differentiate themselves by predicting the customers’ needs and providing them with personalized offers. Code Halos acts as a great forward thinking concept to help companies to create a sustainable competitive advantage in the digital world. Companies like Google and Amazon are successful because they upgrade their competencies and make incremental improvements on a regular basis by embracing and adopting new technologies which takes their business to the next level. 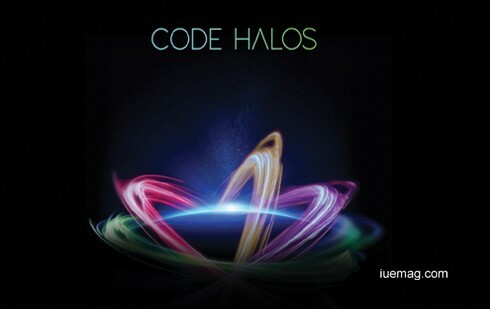 A code halo is the field of digital information that surrounds any noun- any person, place or thing. The halos contain the code that companies, brands, employers and partners can use to enhance their understanding of people or objects. Successful firms in the digital field recognise the power of code halos and the opportunity to insert new capabilities into their existing business models, to maintain and enhance their market share. Companies like Amazon and Netflix understand customer’s likes and dislikes and analyze their code halos. Every click, swipe, tap and keystroke the customer makes gathers information around him and his devices. Over time, highly individualized patterns and detailed correlations emerge. Linking elements of a customer’s code halos allows brands to improve a specific shopping experience. Companies must make effective use of SMAC (social, mobile, analytics and cloud) technologies and leverage on their IT capabilities to add value to their business. Companies need to ensure that they implement a very robust end-to-end digital transformational framework to succeed in the competitive digital environment. SMAC technologies are the infrastructure of the new code halo economy. Firms can create highly individualized experiences by managing the meaning of the code halo and generating insights from the collected data. Predictive analytics will help in delivering endless personalization in the best possible manner. Companies are able to capture and leverage consumer data to generate personalized customer experiences by using sophisticated algorithms that they apply to an individual code. Providing the right information at the right place at the right time is the central theme in all forms of code halo implementations. Every firm thinks of winning the code rush; the key for that is to align IT with the business objectives. The most important thing one must take into consideration is the issue of data privacy. Firms must abide by the law and regulatory compliances when they indulge in the race of unlocking value out of the available customer data. Any facts, figures or references stated here are made by the author & don't reflect the endorsement of iU at all times unless otherwise drafted by official staff at iU. This article was first published here on 22nd June 2015. Aditya Krishnan is a contributing writer at Inspiration Unlimited eMagazine.